BlackBerry and Unity are working together on an add-on for BlackBerry 10 smartphones that should make it easier for developers to create games for the new OS. Unity offers a complete development environment tailored for creating games and 3D content for smartphones, tablets, game consoles and PCs. In addition to BlackBerry 10-based smartphones, developers will also be able to work on games for the company’s PlayBook tablets running an upcoming BlackBerry 10 OS update. A beta version of the BlackBerry 10 add-on for Unity’s cross-platform development environment will be made available to a limited number of developers in the spring. The final release is expected to become available this summer, according to a BlackBerry blog post. BlackBerry and Unity are also planning to organize developer events in Europe and North America and will give attendees Unity Pro and BlackBerry 10 smartphones. Details are coming soon, according to the blog post. Without subsidies, the Unity Pro development tool costs $1,500. Users can then choose between add-ons for Flash, iOS and Android, which cost $1,500 for the Pro version and $400 for the standard version. 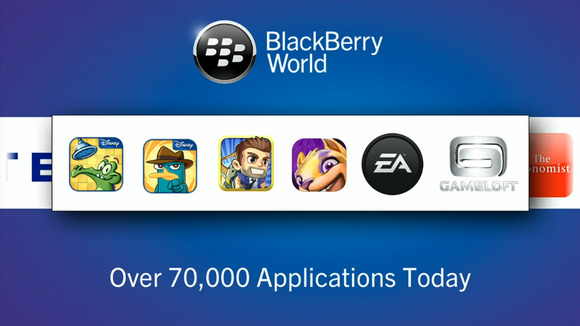 Getting cross-platform vendors like Unity onboard is very important to BlackBerry, because it lowers the bar for developers to create applications for the company’s new OS in addition to iOS and Android.